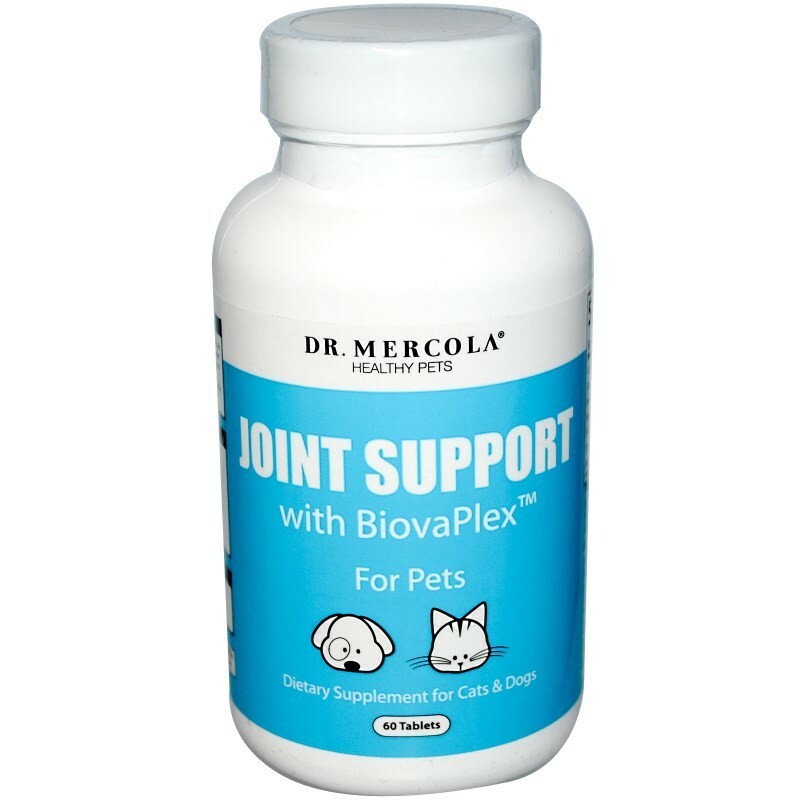 Healthy Pets Joint Support with BiovaPlex for Pets from Dr. Mercola. 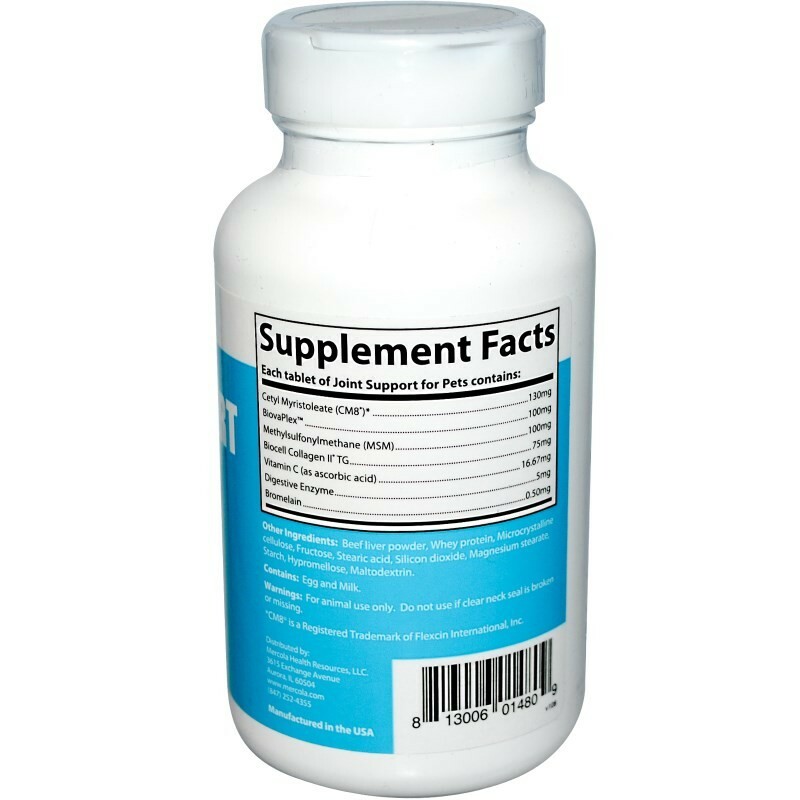 Beef liver powder, whey protein, microcrystalline cellulose, fructose, stearic acid, silicon dioxide, magnesium stearate, starch, hypromellose, maltodextrin. Contains: Egg and milk. Seven all natural ingredients in a chewable tablet provide your pet with the right building blocks. 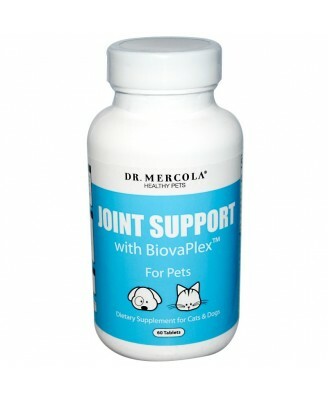 Joint Support for Pets includes exclusive patented ingredients plus antioxidants. For animal use only. 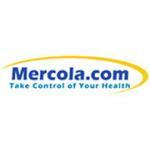 Keep this product out of reach of children and pets to avoid unintended consumption.